Paint might be the safe option, but never underestimate the difference well-chosen wallpaper can make in creating a really special atmosphere in your home. Using wallpaper is a bold move, and one that requires a fair bit of interior design confidence; however, if you manage to pull it off, the results will be well worth the extra bit of effort required to get things just right. This wallpaper instantly lightens the mood, bringing to mind bright spring days, aeroplane journeys to somewhere wonderful, lazy hours spent searching for shapes in the clouds and a multitude of other pleasant associations. 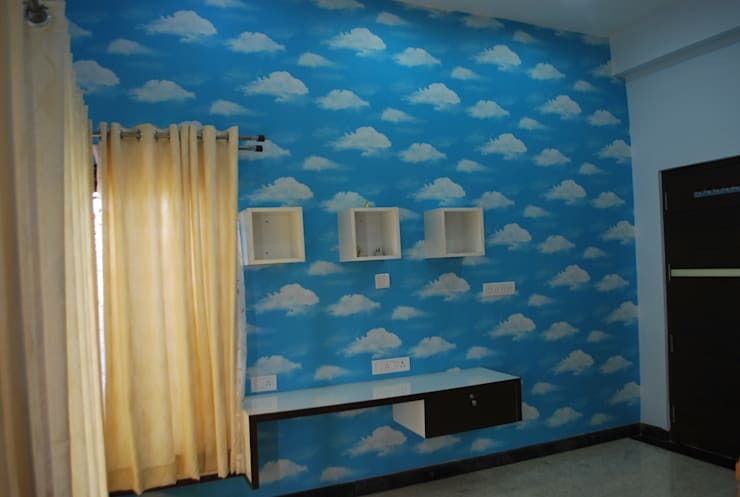 Used in a child’s bedroom, this would be just the wall covering to get their imagination soaring – and it would definitely provide lots of opportunities to have fun with decor, too (an aeroplane mobile seems almost obligatory). 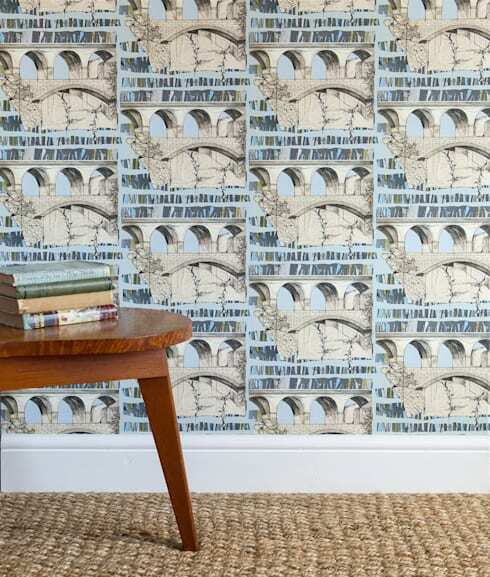 But this wallpaper could be great for grown-ups too, and its calming tones would certainly give a lift to any bathroom or even a study area, as seen here. Invite lemurs, owls, kingfishers and chipmunks, among others, safely (and hygienically!) into your home with this gorgeous print. 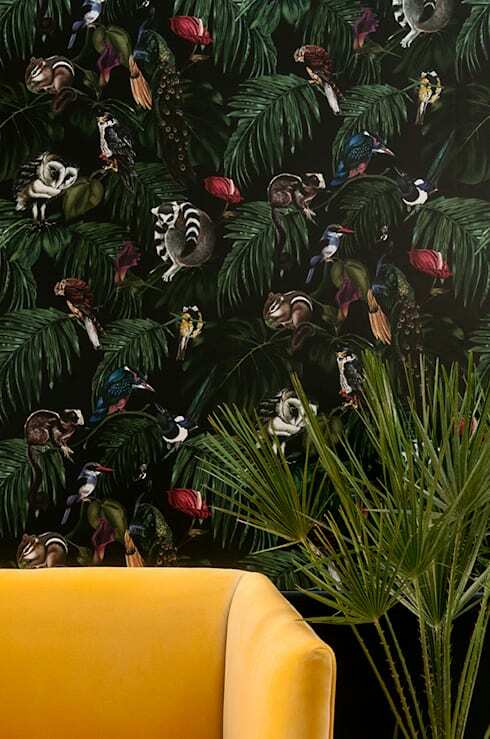 Richly evocative of the diverse natural beauty of the rainforest, this is the perfect choice for animal lovers; or simply for lovers of beautiful design and good illustration. 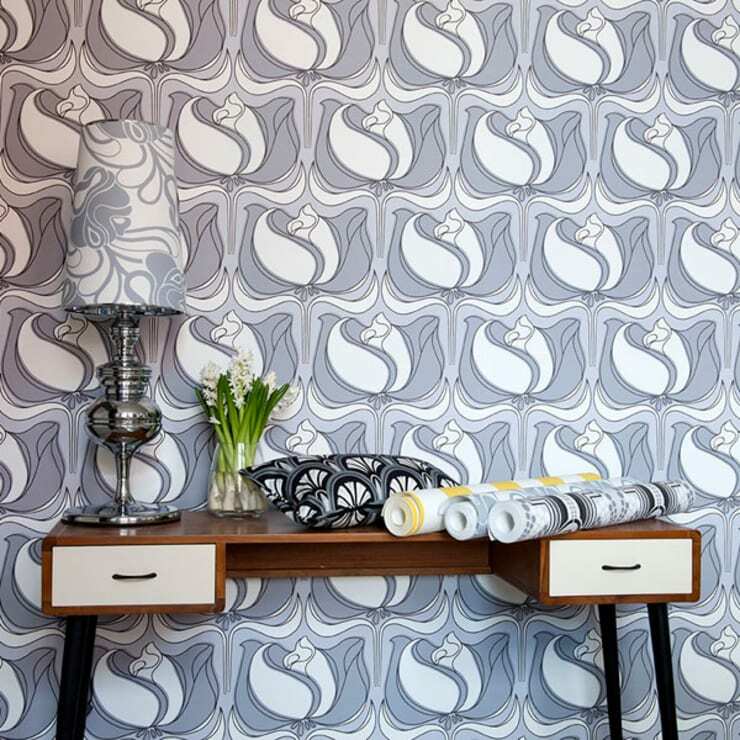 The style mimics the highly detailed look of illustrations in old-fashioned encyclopaedias and bestiaries, yet a room featuring this daring wallpaper would struggle to look anything other than utterly contemporary. … .cover your walls with miniature viaducts. That’s the saying, isn’t it? No? Well, in any case, this irresistibly playful print will spruce up any boring room or empty expanse of space. With its classical connotations, this paper would no doubt be right at home in a study or library. This design offers an edgier option, departing from the nature-inspired prints and patterns that often tend to dominate wallpaper. It may be best to keep this to a single wall rather than using it for an entire room, given that excesses of geometrical patterns can do some very funny things to the human brain. But there are so many possibilities for making this fantastic print work – consider, for example, how well some yellow, or even orange, furniture would contrast with it. 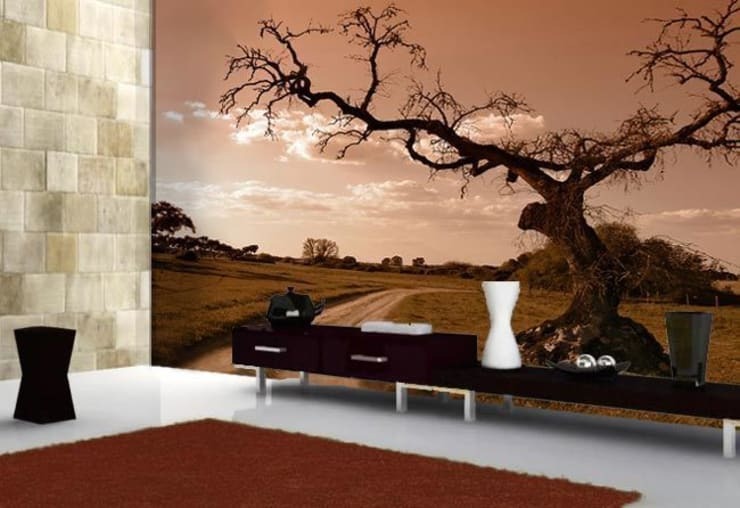 You could be forgiven for feeling disorientated in a room covered with this hyper-realistic wallpaper. The designers offer a wide range prints using high-definition images, mostly of the natural world and famous landmarks. Of all the statement wallpapers on this page, this one surely makes the loudest statement of all. Opting to cover the door as well as the walls in this decadent paper has certainly made this room more than a little overwhelming – yet in the best possible way. 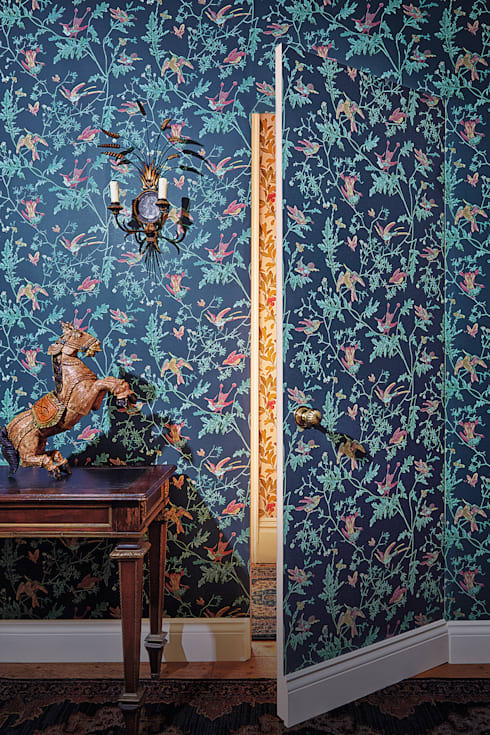 To stand in this room is to be surrounded by a thousand exotic birds, each one demanding your attention. Though certainly not a good match for every home, there’s no denying that this look makes a statement; and one which the few classically elegant furnishings we can see complement completely. There’s also something childishly appealing in the sense of mystery that comes with having a “hidden” door (even when the door is not really all that hidden at all). Careful co-ordination is the key to achieving this striking look. The pattern on this wallpaper makes a strong enough statement in itself, with its flowing lines and natural forms taking clear inspiration from Art Nouveau. Accessorising with similarly busy, yet subtly different, print in matching shades is a stroke of genius, showing the careful planning that has gone into every element of the room yet still retaining a chaotic element of the unpredictable. Wallpaper or paint - which do you prefer?